Hey Defenders! Thanks for visiting our reptile party area. Critter Squad Wildlife Defenders made history with their first reptile event in 2004 and we have done thousands of reptile defender parties since! We love reptiles and more importantly we love teaching people about reptiles! Don’t be fooled by other “reptile parties” — we are the real deal! When booking our reptile defender packages an entertaining, exciting, passionate head defender will bring you some of the coolest, most unforgettable reptiles you have ever seen! Defenders will see snakes, lizards, turtles and tortoises and by special request you can see amphibians and insects as well!! Did you know there is something called a legless lizard? That geckos can lick their eyes? Or that turtles and tortoises can’t take off their shells? In our reptile defender parties your birthday defender and their guests will explore the fascinating world of reptiles through hands-on interactions and up-close experiences. You’re going to need a camera to make sure you capture all the fun and excitement! Become a defender and book today! FREE T-SHIRT FOR THE BIRTHDAY CHILD! When defender dollars are tight but you still want to choose an amazing reptile defender party, go with the Reptile Defender Party MINI! This is a simple, yet exciting reptile defender party that is to the point, allowing you to get a slice of some amazing reptile wildlife. This reptile defender package is less time and has less reptiles then the PLUS package, but it still creates all the same memories. Become a defender and book today! Snakes are one of the most feared reptiles on the planet, which is the exact reason why we need to have educational and hands-on experiences with snakes! This reptile defender party is for the defenders that identify themselves as the snake freaks or the snake enthusiasts. Spend one enriching hour exploring 10 snakes of all shapes, sizes and colors. With some of the world’s largest constrictors to small sand boas, Critter Squad Wildlife Defenders, brings the snake world right to the budding defenders. Become a defender and book today! The lizard defender party brings a wild blizzard of lizards to you birthday defenders party. This reptile defender party is great for the lizard lovers and we all know young defenders love lizards. We have spikey lizards, green lizards, baby lizards, giant monitor lizards and the list goes on. Your Critter Squad Wildlife Defender educator and our special group of lizards will keep your child entertained for hours. Be sure to let the Lizard Defender Party scale it’s way into your event! Become a defender and book today! This petting zoo style, reptile defender party package is one of our best booking reptile defender packages. Great for all ages of kids especially younger ones, the turtle and tortoise defender party is a huge mix of amazing and unique turtles and tortoises. 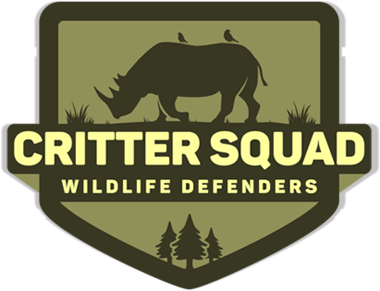 Critter Squad Wildlife Defenders maintains a very large collection of rare turtles and tortoises. From pancake tortoises to giant tortoise species and a wide variety of turtles, your birthday defender and all their defender guests will continue to love turtles and tortoises for years to come. Become a defender and book today! Don’t see what you like? Don’t see what you like? Call us and ask about our Mix It Up Party!